2018 – Latin Grammy for producing and engineering the album "+AR" by Almir Sater and Renato Teixeira, best album of traditional Brazilian music. 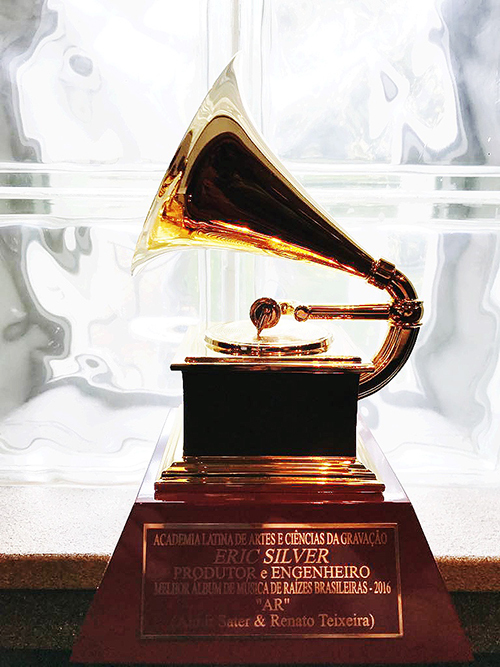 2016 – Latin Grammy for producing and engineering the album "AR" by Almir Sater and Renato Teixeira, best album of traditional Brazilian music. 2009 – Latin Grammy participation award for string arranging on "Agora" by NX Zero. 2009 – Latin Grammy participation award for string arranging on "Sacos Plásticos" by Titãs. 2002 – SOCAN Canadian song-writing award for "I Surrender" by Michelle Wright. 2002 – ASCAP publisher and song-writer award for "Without You" by the Dixie Chicks. 2001 – CMA award for the song "Without You" reaching number one in the US. 2001 – ASCAP publisher and song-writer award for "Without You" by the Dixie Chicks. 1994 – ASCAP (American Society of Authors and Composers) Publisher and song-writer award for "This Romeo Ain't Got Julie Yet", performed by Diamond Rio.